The holidays has been a refreshingly analog time for me. I have checked email very seldom, turned off the television, and abstained from the ipod. It has been incredibly restorative, a Pho for the soul. I discovered I was going through long periods of time without really breathing. I’m slowing down the pace to a brisk walk and able to enjoy the scenery a bit more. Thinking a lot about the nature of my photographic practice (ie what does it all mean????) – how sometimes it feels all muddled as naughty bits of one aspect must be attended to while more interesting tasks are left to fester by the wayside. I am filled with ideas and not enough time to execute, and perhaps this is all just some self-fabrication because at same instance I do think I am at my most productive when the wheels are whirring briskly. At any rate, this is constant: I am constantly wracked with fear of not being productive enough in any facet of my career instead of grateful for what I have been able to achieve. It has been a tough year for most of us. Just today the Post ran a piece announcing that the Wa Times had finally come out with the expected layoffs of 40% of their newsroom as they eliminate the Sunday paper and decide not to cover sports and metro. A lot of good people let go there, and so many places: AOL, Gourmet, the nascent Portfolio, were just a few organizations and publications to lose the fight, and museums! The Wall Street Journal published this article today on the threatened state of America’s small museums. It’s something just to be surviving. And trying to be better at whatever it is that calls you. So that is what I’m going to try to do in 2010 and I wish for you too. Grateful for the good things, just looking to survive with honors. Thanks for stopping by over the past year, and I promise to be less maudlin in the days and weeks to come. May the wind always be at your back. Suerte. I have a problem. It is difficult for me to separate what I know about an artist from the enjoyment of their work. While the psychologist/English major in me wants to know all about the artist: their background, their motivation – the impartial observer in me is better left in the dark – for there are cases when the artist lives a life or commits acts of such reprehensibility that I cannot separate the person from their work. Happily, more often than not, I am delighted in my increased awareness of an artist and her work, and this amplifies my appreciation (I prefer to reside in the spectrum of positive emotions these days). Such is the case with artist Jenny Holzer, a conceptual artist who puts words and ideas in the public space (AND is a fellow Bobcat, and hails from Galipolis, Ohio – ten points if you know how they pronounce it – a town, I’ve enjoyed a sojourn in back in THE day) who is featured in the Domain‘s section of today’s Sunday New York Times Magazine. She is a sport. Her favorite acquisition from the Whitney? Her husband. Work she’d take back? 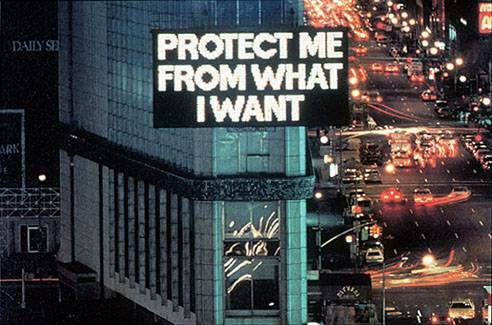 How about everything I have done to a certain extent? I disappoint myself routinely. If you are an artist and you are honest, you are never good enough. A New Zealan possum bedspread. When I was younger, I was curious and amazed by Wilt Chamberlain’s bed that was covered in artic wolf pelts. I figured if I could understand the combo of love, slaughter, and fur, I’d know something. Smart, self-deprecating, curious, insecure, and engaged. LOVE her. An excellent morning wake-up read. I aspire. 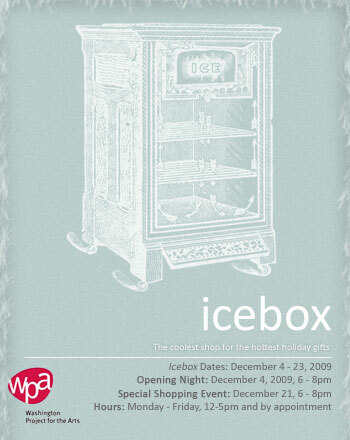 Washington Project for the Arts is pleased to announce the opening of our holiday gift shop, IceBox at WPA headquarters, located at 2023 Massachusetts Ave, NW. 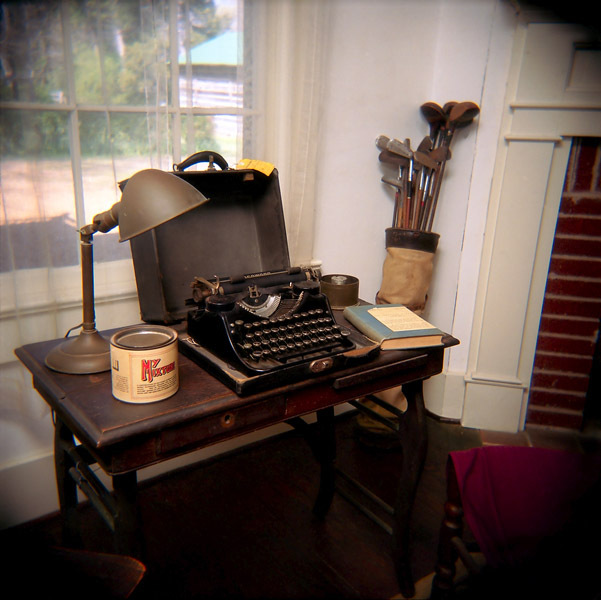 The shop will feature artworks and products for sale by WPA artists. 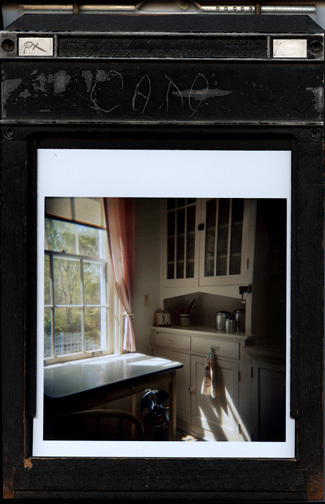 I’m selling these repurposed 4×5 holders with small prints from my Sense of Place series, along with the accompanying catalog, as well as a trio of 8×8″ images from the series as a mini-portfolio. Come buy homegrown this year! A few weeks back, Milwaukee based lens-man Kevin Miyazaki contacted me to be part of a new collective to offer limited edition prints for a charity of the photographers’ choice. 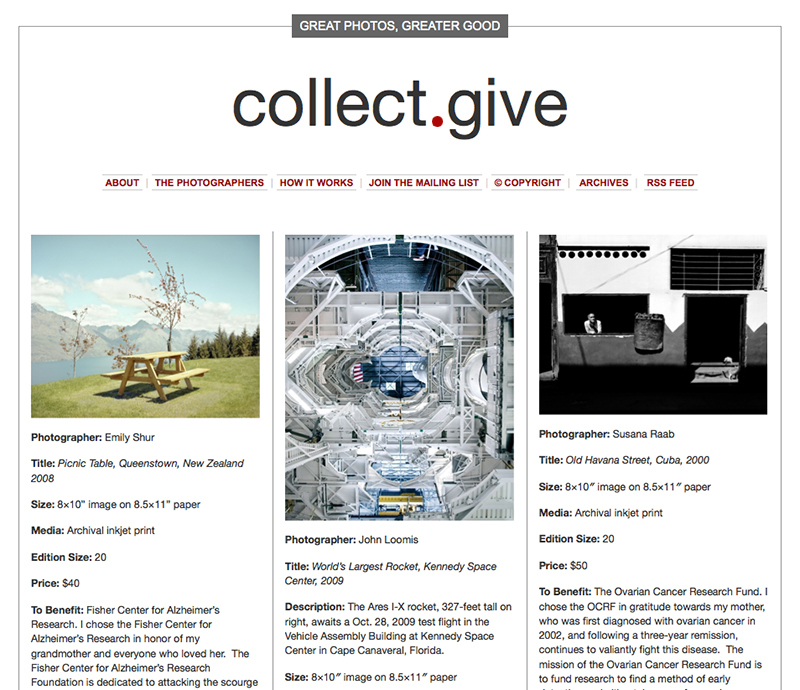 I was happy to be a part of the inaugural effort of collect.give, along with photographers Emily Shur, Kevin, Dalton Rooney, Allison V. Smith, and John Loomis. The prints are all quite affordable, and benefit various types of efforts. My prints will benefit the Ovarian Cancer Research Fund in honor of my mother who continues to wage an 8-year fight against this disease. Please check it out here.